Les Miserables Is Coming To Manila! Headlines, hot news, and conversation starters on September 17, 2015! 1 It’s really happening: Broadway classic Les Miserables is coming to Manila! Shows will run at the Theater in Solaire beginning March 2016. The best part? 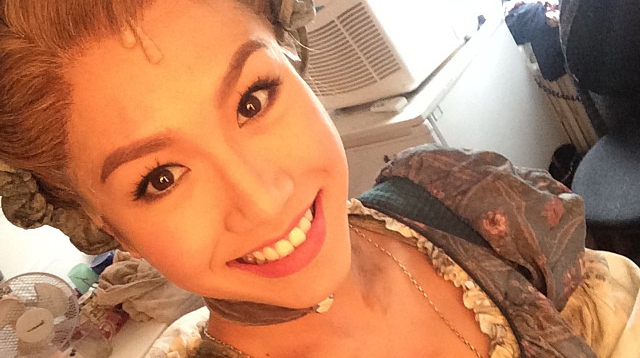 Cosmo's 2015 Fun, Fearless, Female Rachelle Anne Go will be playing the role of Fantine! Y’all better hurry up, tickets go on sale on September 29 at Ticketworld. 4 Freaking out! The new poster for the last installment of the Hunger Games series, Mocking Jay Part 2, is out! We are digging the new twist on Katniss’ signature braids! 5 Craving for a fat, juicy burger right now? Run over to any Burger King branch and try out their latest creation, the Angry Whopper. It’s the same all-beef grilled burger but made even better with jalapenos and super spicy Angry Sauce.